Credit Valley Conservation (CVC) has partnered with Toronto and Region Conservation Authority (TRCA) to offer you the best of our parks through our membership programs. Now you can enjoy unlimited combined access to ALL of our green space to accommodate more of your user needs. Purchase this membership and enjoy benefits from CVC and TRCA parks! 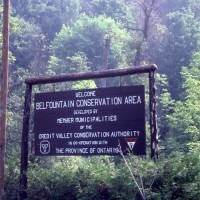 Conservation areas that you will have access to through this joint membership program include: CVC’s Terra Cotta, Belfountain, Island Lake and Ken Whillans, plus TRCA’s Albion Hills, Boyd, Bruce’s Mill, Glen Haffy, Heart Lake, Petticoat Creek, Black Creek Pioneer Village and Kortright Centre. Going Green – CVC Can Help! CVC offers programs and services to residents, schools, community groups, businesses, landscape professionals and municipalities – helping to protect the environment in the watershed and enhance quality of life for those who live, work and visit here. Green Cities – CVC carries out studies to develop environmental strategies for urban streams and the Lake Ontario Shoreline. CVC then works with partner agencies, residents, businesses, institutions and landscape industry professionals to promote sustainable approaches to caring for natural features and our public lands, residential yards, corporate and institutional grounds. Low Impact Development (LID) – CVC is widely recognized as a national leader in Low Impact Development for stormwater, using new approaches and technologies to manage stormwater sustainably, reducing water pollution and producing other environmental benefits in our communities. CVC works with developers, municipal partners and others to develop best practices and implement innovative LID projects. Assistance to restore wetlands, streams and ponds to protect water quality. Workshops for rural landowners on managing their land and water. Funding for up to 75% of the cost of rural tree planting services, plus expertise, tree selection advice and on-the-ground planting assistance. Funding programs and services designed specifically for farm properties. Flood warning – CVC monitors weather forecasts and river conditions to assess the potential for flooding, and works in partnership with municipalities to protect people and property. Watershed monitoring – Through the Integrated Watershed Monitoring Program, data is gathered at 150 monitoring stations to evaluate water quality and the health of natural areas. Planning and development – CVC undertakes studies to identify environmental concerns and help guide development. CVC is also responsible for reviewing development applications under the Planning Act and the Niagara Escarpment Planning and Development Act. CVC seeks to avoid loss of life and damage to property by overseeing Regulated Areas, including floodplains, valley systems, wetlands, watercourses and surrounding areas on private and public lands. A permit from CVC is required for development (including filling and grading), watercourse alteration (installing a culvert, bridge or erosion protection measure), or interference with a wetland. Visit CVC’s website for information about development permits and applications.